The Amerock BP55276ORB Blackrock 3-3/4in(96mm) CTC Pull is finished in Oil-Rubbed Bronze. The BlackRock collection offers sleek simplicity with a contemporary indulgence. This eclectic line boasts bold shapes and sizes. The Oil-Rubbed Bronze finish is a rich, dark brown old world finish with striking light and dark accents. The Amerock BP55278ORB Blackrock 6-5/16in(160mm) CTC Pull is finished in Oil-Rubbed Bronze. The BlackRock collection offers sleek simplicity with a contemporary indulgence. This eclectic line boasts bold shapes and sizes. The Oil-Rubbed Bronze finish is a rich, dark brown old world finish with striking light and dark accents. The Amerock BP29349ORB Candler 3in(76mm) CTC Pull is finished in Oil-Rubbed Bronze. The Candler collection is distinctively elegant, with strong lines and soft curves that blend a touch of femininity with enduring class and timeless character. The Oil-Rubbed Bronze finish is a rich, dark brown old world finish with striking light and dark accents. Blackrock 128 mm Oil Rubbed Bronze Pull Amerock's wide variety of finishes, styles and sizes for all decorating tastes is the inspiration for the beautiful designs. Showcasing decorative hardware solutions that inspire, coordinate throughout the home and express personal style, Amerock Decorative Hardware is the perfect finishing touch for all rooms around the home. Use this collection to complement your space, from utilitarian to contemporary. 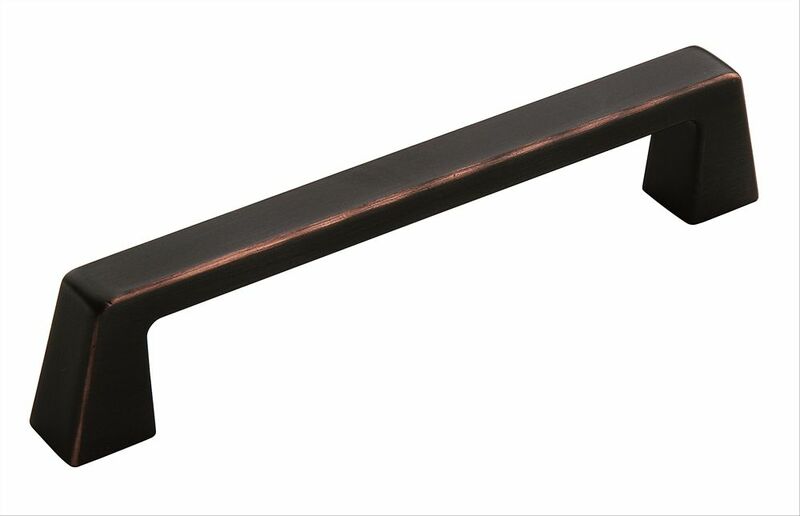 Blackrock 128 mm Oil Rubbed Bronze Pull is rated 4.3 out of 5 by 3. Rated 5 out of 5 by Emmanuel from The pull handles are beautiful and feel sturdy. I... The pull handles are beautiful and feel sturdy. I absolutely love them and highly recommend them.